The entrepreneur and investor who is originally from South Africa was responsible for helping to launch PayPal in 2000. He has also pioneered incredible progress with his space travel company, SpaceX. He chose earlier in April to sue the U.S. Air Force for allowing national security launch contracts to be closed to external organizations, such as his own. Elon Musk is not afraid to take unconventional action towards the future of entrepreneurship, as he paves new paths for young hopefuls that are yet to launch their own businesses. For a man that decided to stop pursuing education after his second bachelor’s degree, it is pretty astounding that Elon Musk was able to jump into his entrepreneurial pursuits with such success. In 1999, about four years after he decided to be done with school, he had already launched a website called X.com, a payment services company. A year later in 2000, X.com was merged with the company that would eventually stand as PayPal. With the payment services company still in its formative years, Musk and his colleagues (notably Peter Thiel) needed to ensure that the company would fully take flight. Musk was then responsible for developing a launch campaign that ended up making PayPal the most widely accepted and successful payment services company on the Web. Even though Elon Musk acquired $165 million for his work with PayPal when the company was bought by eBay in 2002, he had no intentions of approaching retirement, or anything of the sort. 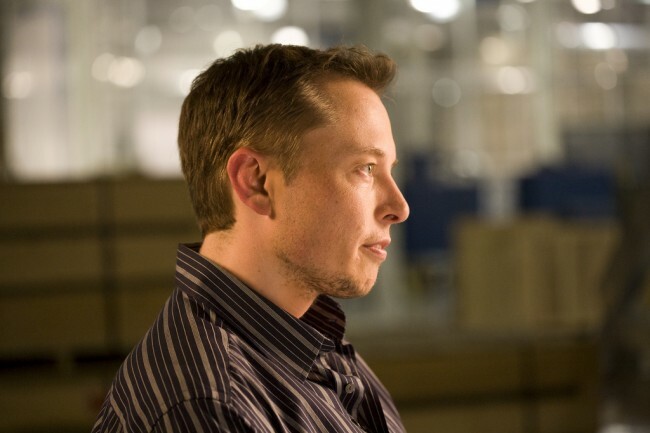 In 2004, Musk was involved in the founding of Tesla Motors, stepping in as an early investor. Just four years into the company, Musk stepped up as both product architect and CEO of Tesla, adding to his list of achievements an organization that many people thought would not go far. The level of entrepreneurial courage within the paths that Elon Musk has chosen to pave for the futures of young, new business developers has more to it than just audacity, however. Tesla Motors has been distinguished from their peers not only through the designs and capabilities of their cars, but the very foundation through which they enabled their cars to move into the production stage. Most car companies would create the car that they believe their customers want, jump through all the hoops that are required of raising millions of dollars for the production, and only then ship the completed car out to the dealership, where they hope to make a profit. Musk and Tesla approached their plan the opposite way. After initial designs were finished, the company opened up the chance to place a deposit for a car once production was complete, on a limited number of vehicles. This pressed consumers with a higher level of demand, since supply was so low. The high-profile inventor is also known for his work with Solar City, a company that he helped to launch with his cousins, Peter and Lyndon Rive. Solar City has a primary goal of helping to eliminate global warming over time, while also providing sustainable sources of power to more communities that are in need. Elon Musk is more than just a business-builder who is investing his time, energy and money into companies and models for the future that will work. He is a cutting-edge developer that is seeking to better the lives of individuals all across the globe, no matter what social situation they are in, or what level of business they contribute towards. He is challenging the notions that other business owners have held for decades, and he is not afraid to contend against rules and limitations that have placed boundaries on where companies like his were allowed to go in the past. For future entrepreneurs that are aiming to empower the world in new ways, Elon Musk is paving unprecedented paths that will set the stage for how full potential can be realized in the years to come.